Derryn Hinch used to threaten that he would eventually write an autobiography and call it Famous People Who Have Met Me. He was joking. Eventually he did write a kind of personal biography about the private thoughts of a public person but he used his catchphrase as the title: THATS LIFE. And in his case what a life it has been. A national magazine once referred to him as the former Derryn Hinch. And there have been a lot of former situations in his life. He is a former police rounds reporter, former foreign correspondent, former newspaper editor, former host of national current affairs shows, former novelist, former radio host in Melbourne, Sydney and Adelaide, former MIDDAY host and former jailbird. Yes, Derryn spent 12 days in jail over a contempt of court charge when he revealed the name of a convicted child molester. 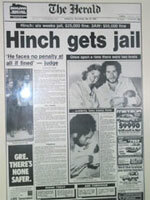 For eleven years Hinch covered both North and South America for the Sydney Morning Herald and other Fairfax papers as well as the Macquarie Radio Station. He was there on the spot when man first went to the moon. He was there for such turning points in history as the assassinations of Martin Luther King Jr and Bobby Kennedy. He was there when President Nixon resigned at the peak of the Watergate scandal. He has reported from China, India, Africa, Canada, the Caribbean, England, Europe, the United States. Covered events like the famine in Ethiopia. In sports he covered the U.S Open, the PGA and The Masters in golf and the U.S Open in Tennis. He spent so much time in Newport covering the Americas Cup that he wrote a novel about it called Death in Newport. In politics Hinch has met every Australian Prime Minister from Bob Menzies to John Howard. He has been in the Oval Office at the White House. Interviewed such diverse politicians as Senator Edward Kennedy and Andrew Peacock. In entertainment Hinch has interviewed such big names as Elizabeth Taylor, Richard Burton, Sophia Loren, Harrison Ford, Catherine Deneuve, Mae West, Peter Finch and Rod Taylor. At home here in Australia he has interviewed every major male and female star over the years  and was also married to a national icon, Jacki Weaver, for fourteen years. He remains the only person to have interviewed fugitive businessman Christopher Skase in Majorca since he fled Australia. Hinch has a unique opinionated, often controversial view of history. And he can talk about it lucidly, colourfully and entertainingly. Despite the sometimes gruff exterior that beamed out of the television set into your living room in prime time for all those years he does have a sharp, sometimes shrewd sense of humour. His appeal apparently bridges the so called generation gap. He has made several national appearances on Triple J Radio and won an Adelaide nightclub competition as Adelaides Most Popular Personality. The patrons of the club  between the ages of 18  25. When he asked several how they even knew him one said Youre a Legend, Dezza. Another explained that when she was growing up her mother would say hurry up and finish your dinner. Hinch is on in ten minutes. 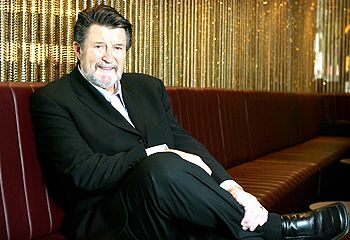 Derryn Hinch first joined 3AW in 1979. 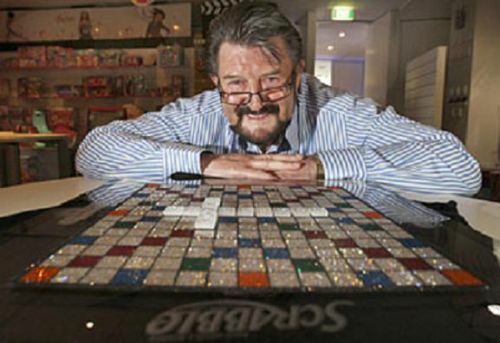 He went on to become the undisputed King of Melbourne radio  with the highest morning ratings ever achieved then or now --before leaving to start the top-rating HINCH on the Seven Network. He re-joined 3AW for the third time (after a year doing Nightline in 2000) in February 2003. Hinch has his own website www.hinch.net on which he posts daily editorials. It also features his Sir Hinchalot restaurant reviews, travel articles, his Sunday Herald Sun columns, the Hinch News Club and book offers. Derryn Hinch makes rare appearances at conferences and as an after-dinner guest. He is an entertaining, informative guest speaker. He is fast on his feet and is happy to answer any and all questions. Proof of this was his one-hour performance at the National Press Club without a single note, which was televised by the ABC. And wasnt a touch nervous. *The author of this website, Greg Tingle, would like to publicly thank Derryn Hinch for his encouragement and support.